THIS CITY is awash with art fairs but one stands out to potential investors: the Moniker Art Fair in Brick Lane, pictured, even if it does describe itself as “London’s premiere event for contemporary art with its roots embedded in urban culture”. The Moniker event looks promising not just because it does a good line in pretentious blurb-writing – it’s the art business – but because it expects to “attract 10,000-plus visitors” during its four days in the Old Truman Brewery. And that suggests there’ll be artwork that people want to see and buy, although the apparent need for Moniker this year to share with another event, the Other Art Fair, indicates that business may be less than optimum. Haggle and you might get a bargain. Hang-Up will exhibit “brand new collections” by sculptor Lauren Baker, biro artist Mark Powell, “collage artist extraordinaire” [Art-world hyperbole: love it. – Ed.] 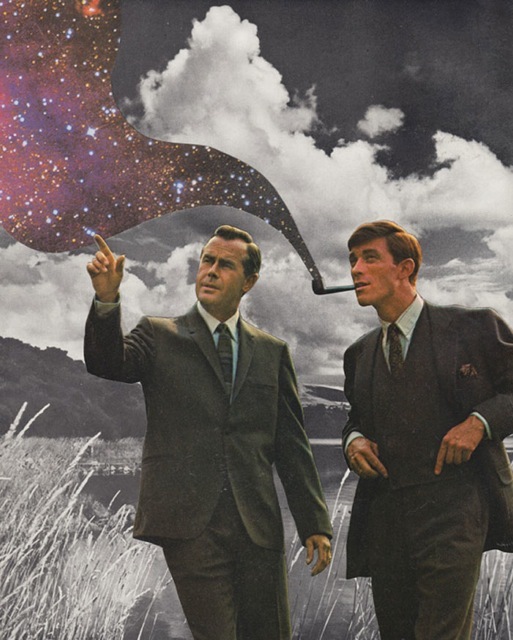 Joe Webb and light-boxer Magnus Gjoen. Prices £85 to £15,000. At its gallery Hang-Up is selling prints by Sir Peter (Beatles album cover) Blake in Hang-Up’s predictable words, the “Godfather of Pop” [Who’s the father, then? – Ed.]. Perhaps you’ll spot the next Blake at the fair. * Hang-Up Gallery is at 56 Stoke Newington High Street N16 7PB. If other Hackney galleries are participating, they are welcoming to email Loving Dalston. Finding out gallery locations from the fair site would be too time-consuming.